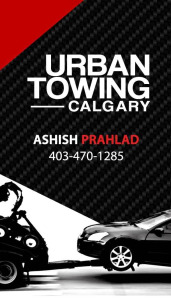 Urban towing provides Calgary with affordable and reliable towing services. We are a small owned and operated company and strive for customer satisfaction. Flat rates are always available, call us for a quote on your towing needs. Aside from towing we also remove junk cars, if you have an eyesore that is taking up needed space, Urban towing can help.